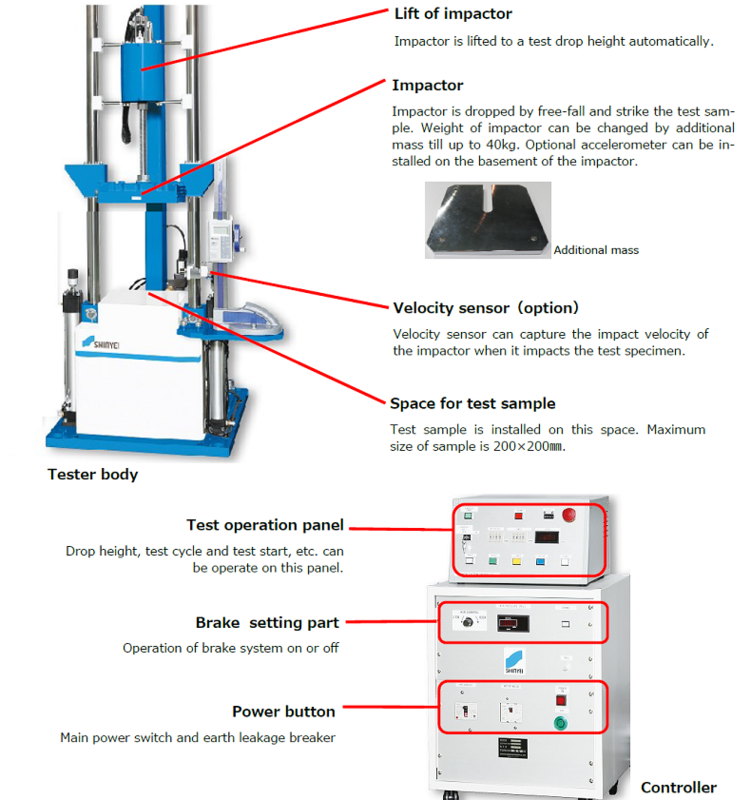 The Drop impact tester IST series can carry out impact test via free fall impactor. The Mass of the impactor is changeable by the addition of weights, equipped with a braking system for anti-rebound of the impactor, repeatable test can also be conducted fully automatically with easy operation. 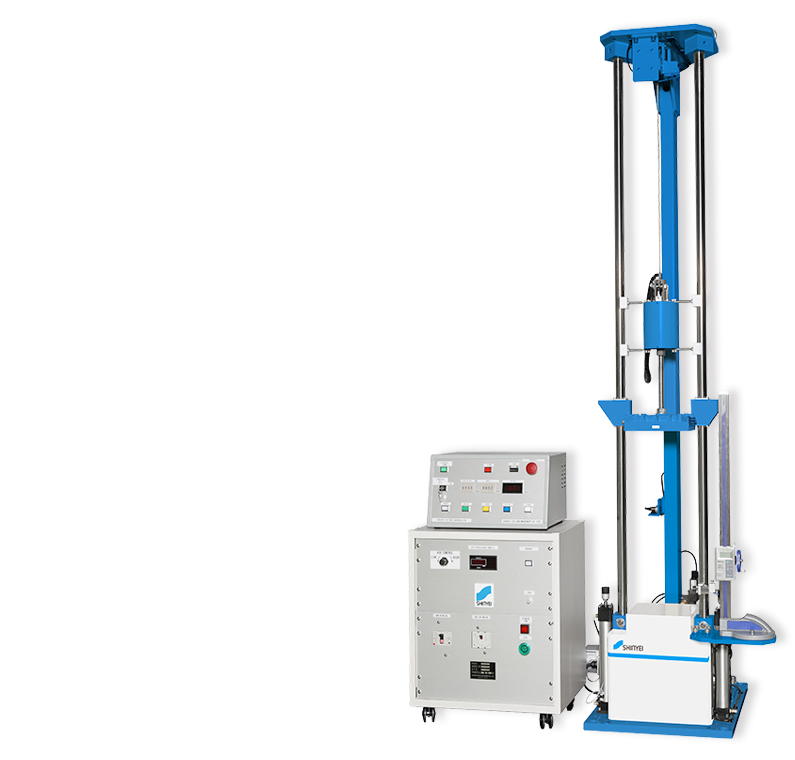 This tester applies impact test for automotive parts and evaluation of cushioning material, etc. Impactor with free-fall style which mass is interchangeable between 2.3 to 40kg.